I first heard Arthur Russell's music in 2004 when I was driving with a friend to the Spiral Jetty. What was interesting about Russell's music was that on one hand his voice had the confessional lull of Nick Drake and on the other, gentle dance beats round out a sound that can only be described as singer/dancewriter music. I was blown away by the space between the loose, minimal jazz rhythm and distorted cello that typified Russell peculiar brand of funk-disco-dance music. It came as quite a surprise, then, to find out that what I was listening to was released in 1985! Since that time, Russell has enjoyed a resurgence of recognition that eluded him when he was alive; re-issues of out-of-print singles and albums, a forthcoming biopic by Tim Lawrence and finally, Matt Wolf's portrait of Russell, Wild Combination. "My intention going into this project was to use Arthur's music to do experimental film ... then when I met Tom Lee, Arthur's former partner and the executor of his estate, I was so inspired and connected with him so intensely that it opened my mind to doing something more biographical," says Wolf. Arthur Russell was born into a midwestern family in 1952 in Oskaloosa, Iowa. At the ripe age of 23, Russell moved to New York City were he started connecting, keeping and working with a diverse company of artists that have come to embody 20th century American music: Rhys Chatham, John Cage, Ernie Brooks of the Modern Lovers, Allen Ginsberg, Phillip Glass and David Byrne (with whom he played cello on an unreleased version of "Psycho Killer") to name a few. By 1980, Arthur had come out of the closet and started dating Tom Lee exclusively until his death in 1992. After realizing the vast array of people that knew and helped define Arthur as artist, friend, lover and son, Wolf's project became assured. "Talking to his parents and Ernie [Brooks] and recognizing the wealth of characters that presented themselves in Arthur's life, it became clear at that point that it was necessary to do a film that was biographical and included all their voices," says Wolf. Wolf's interest in doing a documentary on Russell lay primarily in his resonance with the music, his own cultural agenda notwithstanding. "I am particularly interested in making films about the cultural history of downtown New York from the 70s and 80s. I am interested in queer biography and gay cultural history that are under recognized," says Wolf. Wild Combination emerges from Wolf's engagement with history that doesn't rely on traditional modes of analysis, but instead gives primacy to people and their influence on and place in shaping that narrative. "I am really interested in the creative life of individuals and trying to understand the interconnections in people's biographies between their emotional lives and creative lives," Wolf says. Wild Combination isn't the conventional VH1 Behind the Music documentary. Instead, as its name implies, it's a portrait and as such explores the relationships that fall outside and forge the identity of Arthur's musical character. "I wanted to avoid some of the traps of other music documentaries or other documentaries of the genre that create a definitive record of the musical history that surrounded the artist," says Wolf. "Part of my focus in the film is family, his connection to the landscape of Iowa and also his relationship with Tom Lee and the iconography of downtown New York and the experience of being gay ... I think all these things can often be put on the sides for the musical narrative in the traditional music documentary." Wolf utilizes interviews with family and friends, rare archival footage and unreleased music by Arthur to thread a depiction of Russell that at turns praises him as the genius he was and shows the complex, difficult personality that lay behind his creations and collaborations. Underlying this depiction is a sketch of the cultural milieu that Arthur found himself in 1970s New York City. Understanding that this isn't your run-of-the-mill overview of a musical career, Wolf realizes that the potential audience for this type of film is varied at best. "There are a lot of different viewers for this type of film: those who are familiar with him, those who have diverse cultural contact, etc and while it's not possible to make all the material appeal to everyone, I think the goal is for people to get emotionally connected to Arthur � through his music and through the emotional arc of his life," says Wolf. Part of that emotional arc involves his homosexuality and the sense of community that Arthur found in making his music. "Disco was an even more intense kind of social community that had this birthday party feel to it. I think Arthur was attracted to those types of group dynamics and communities. I think its part of the culture of the time," Wolf says. Wolf is quick to point out, however, that Arthur's homosexuality wasn't his main identity, just part of it. "He was openly gay but he traversed a lot of different worlds. The disco world is super gay. The culture of being in the recording studio is a straight, male dominated thing. In a lot of ways, Arthur could pass in a lot of different contexts ... being gay wasn't an essential part of his identity," says Wolf. Sadly, while he as alive, Arthur was never met with much critical acclaim. He did get a record review here and there but he never found the pop success he was looking for. Part of the problem was his personality and another part was his musical process. "There was something that prevented Arthur from achieving the kind of success of his contemporaries. It was kind of a personality thing. He wanted to succeed; he had all the talent and ability to succeed, but he didn't have that show business persona. In the end, his real tragic flaw was the inability to finish things," says Wolf. Arthur Russell died in 1992, at age 40, due to complications with HIV. All but forgotten, Russell bridged the divide between the high culture of serious music and pop music using innovative production skills and a cello. "Arthur was totally engaging with the serious avant-garde music community, like sound artists, people who were purely exploring sound. He could also go to a disco club and listen to disco music. I think his ability to draw from all sorts of inspiration is unique," says Wolf. Recently, through such compilations from 2004 such as Audika's Calling Out of Context, which bring together Russell's late 80s unreleased pop and R&B songs, and Soul Jazz's The World of Arthur Russell, a collection of his 12-inch dance singles, Russell has been retrieved from obscurity. His influence on contemporary pop music can be heard in such acts as Jens Lekman, Electrelane, !! !, LCD Soundsystem and other indie dance bands. Wild Combination will be finished January 20th and will debut at the Berlin Film Festival in February. If you want to find out more about Arthur Russell and Matt Wolf's portrait of Russell, Wild Combination, be sure to check out his website www.arthurrussellmovie.com. 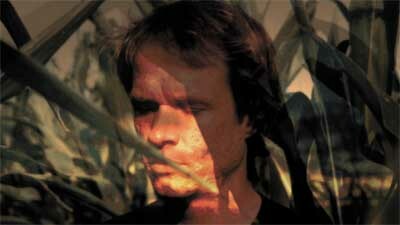 Wild Combination: A Portrait of Arthur Russell will be completed by mid-January.